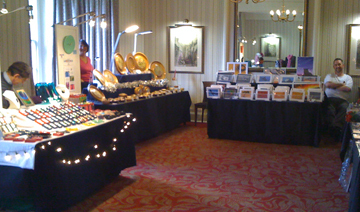 Hi here you will find a few pictures of some of the crafters that appear at the many shows we have. Not all the crafters you see here will attend every show, so if you are looking for something special contact us to make further enquiries. Pictures will continually be updated. Some of the crafters at Pitlochry. More pictures to come from past and future events.